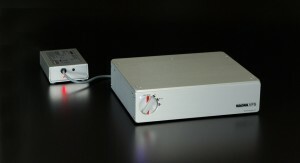 Posted September 27th, 2011 by Yvonne Hawkey & filed under Nagra, Phono Amplifiers. OK, Iâ€™m not going to beat about the proverbial bush here. The Nagra â€˜Valve Phono Stageâ€™ is the most musical way to boost a cartridge signal that Iâ€™ve heard ! If youâ€™re as passionate about records as I am and youâ€™ve got yourself a record player that gets great music from them, then you really must hear the VPS.